I haven’t decided yet if this is just a great satirical illustration or a sad and exposing view of what we have become. 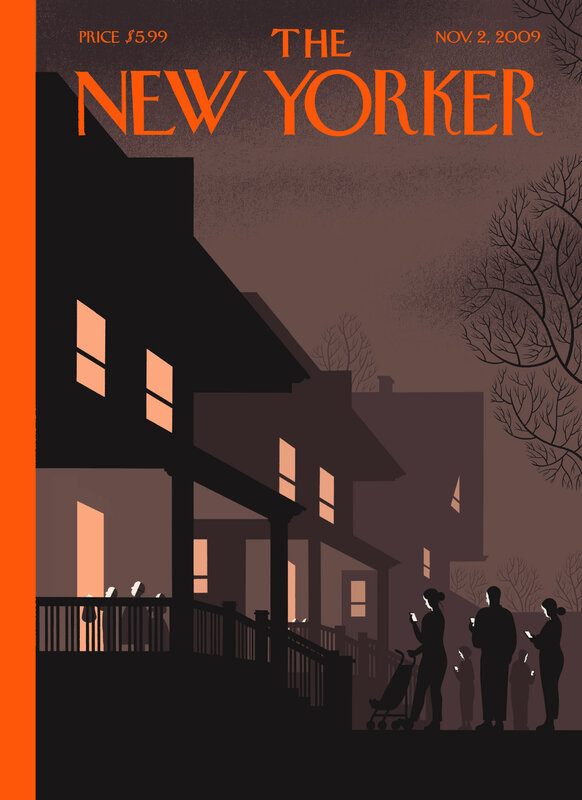 This Saturday we will be taking the kid out for a trick-or-treating excursion and my hope is that I can refrain from being exactly what the illustration infers – worried more about my email rather than enjoying the single Halloween he gets to spend as a two-year old. A couple of guys from CollegeHumor.com have had a long standing prank war going on dating back a few years. In what I thought was the pinnacle of their war, last year Amir scheduled an engagement proposal for Streeter and his then girlfriend. Like I said, quality content could flow today. This one is by a buddy of mine and fellow dotcomrade, Aaron Garcia (and yes, his hair is that cool). Beautifully done, great cause. V-Day ‚Äì 5 Dollar Water from Aaron Garcia on Vimeo. 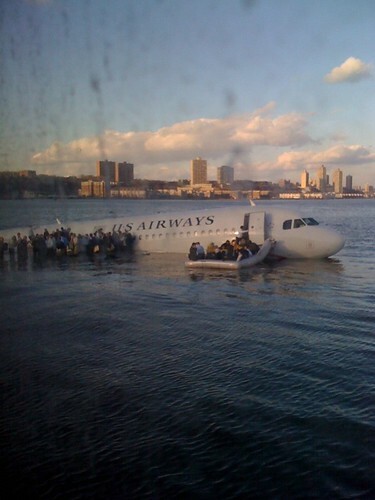 Before I saw a single news headline or heard anything about it, I saw a flickr image of the plane in the Hudson today taken from a camera-phone by a person on the boat sent to rescue the passengers. It made it to Twitter and then copied to Flickr within minutes and spread like wildfire from there. Kudos to the pilot for saving lives. Kudos to the photographer for the shot and the share. Kudos to the net for changing the way I consume and learn.